Expats Life in Saudi Arabia. Guide and Information for Expatriates Living in Saudi Arabia. 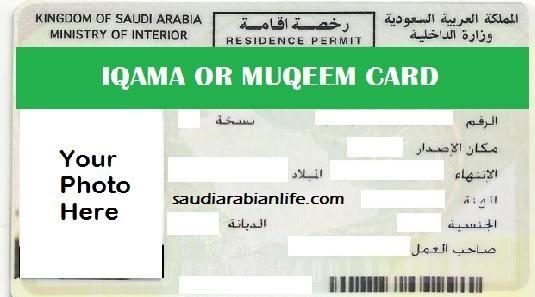 Find More about Iqama, Saudization, Saudi Green Card, etc. Expatriates in Saudi Arabia will be issued new identity resident cards-Muqeem cards from 14, October 2015 (1437 Hijri) instead of the Iqama. Muqeem card was launched by the crown prince of Riyadh, Mohammed Bin Naif along with the Ministry of Interior and Deputy Premier. The services of issuing and renewing Muqeem cards will be online and the Saudi post will be utilized to post Muqeem cards to the individuals and companies. Earlier the Iqama had to be renewed on a yearly basis whereas Muqeem will have to be renewed only after 5 years and there is no change in the fees. Postal addresses will not have to updated or nor do the expats have to visit the Jawazat to collect their Muqeem cards. The important feature of Muqeem cards is that they will be hard to forge. The rules of the Iqama have not changed; it’s just that the name has changed from Iqama to Muqeem. Since the validy of Muqeem card is 5 years, it does not have an expiry date. However, the employer may/shall renew the employees Muqeem card through abshir or Muqeem online service. If the employee doesn’t come back to Saudi on the exit re-entry visa, then the employee faces a three year ban and if the employee wants to come back then he/she may do so after three years are completed. Muqeem cards can be read at banks, checkpoints, institutional places as they are made readable by special machines that will be installed to record and read information. This new electronic card will be a new step in digitizing the country and will be an easy to keep a record of by the government. The renewal hassle associated with Iqama will be reduced by the introduction of these new readable cards.